Perhaps I should take a break from lobbing grenades at Glenn Greenwald. After all, I do actually agree with him far more than I disagree. It’s just that, well, he’s unbelievably irritating and the more I read him the more annoyed I get. When the Iraq War was debated and then commenced, I was not a writer. I was not a journalist. I was not politically engaged or active. I never played any role in political debates or controversies. Unlike the countless beloved Democrats who actually did support the war – including Obama’s Vice President Joe Biden and Secretary of State Hillary Clinton – I had no platform or role in politics of any kind. I never once wrote in favor of the Iraq War or argued for it in any way, shape or form.Ask anyone who claims that I “supported” the Iraq War to point to a single instance where I ever supported or defended it in any way. There is no such instance. It’s a pure fabrication. So Greenwald didn’t technically support the war because he wasn’t yelling on MSNBC that America should trust George Bush, and you can’t find written record of him saying it either. You see, Greenwald can’t be painted with the same brush he paints everyone else who supported the war with, because was apathetic at the time and didn’t have a blog. Look, I think it’s a great thing that Greenwald did an about turn on the Bush Administration and their astonishing lies. 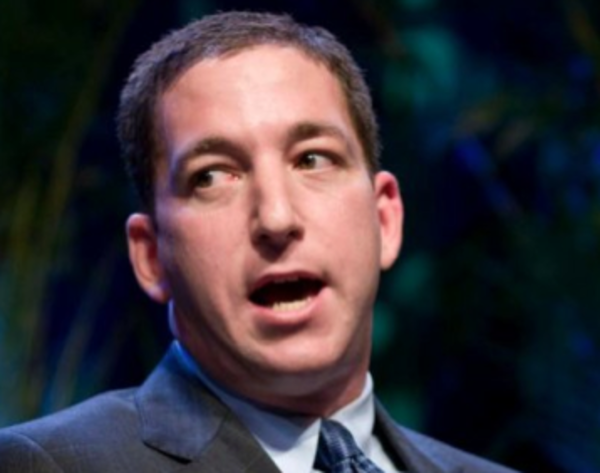 Greenwald clearly woke up from his apathy and relentlessly cataloged the administration’s severe abuses of power and hammered them for it until Bush and Cheney left in 2008. But he can’t lecture people who initially supported the Iraq war then turned against it when he did exactly the same thing. Virtually everyone who supported the Iraq war has used the same defense – “Had I known then what I know now, I would not have supported it”. Greenwald is a former constitutional lawyer, so he knows how to argue on technicalities, and that’s exactly what he is doing – using semantics to disguise the fact that he supported one of the dumbest wars in history. It’s highly embarrassing and I understand why Greenwald went to great lengths to obfuscate his support for the Bush administration’s catastrophic decision to invade Iraq.